September 23, 2011, Shanghai Shibang's the first e-mail communication capabilities competitions of the "Write like an angel award" ceremony was held. The competition was held by Shibang's Operations Center and each department heads of Shibang International trade Center bear the judges. 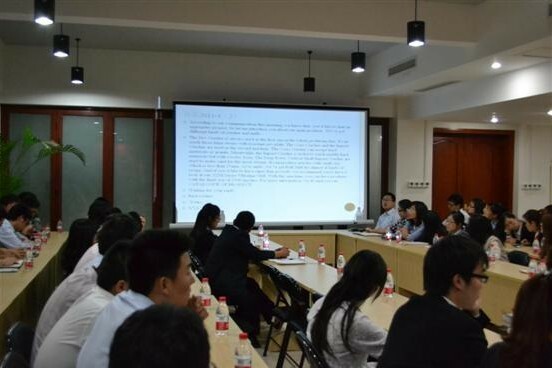 Since the start of the competition, there are nearly a hundred of the 2010's and the 2011's new employees, come from Shibang International trade Center, participate in the game. Timely and accurate e-mail reply is a key step to maximize meet customer needs. Numerous aspects of the competition settings which let new employees have a better understanding of the E-mail reply skills and importance. From simulate the customers' initial inquiry and write "Business Plan" to simulate the capacity and size of customer demand, write design and quotation scheme, and specific analysis customers additional conditions, etc.. Every new employees had tried their best, they all show their e-mail replies and proposals for each aspects. Each judges' targeted comments are the lightspot and the essence of this award ceremony. The judges give their patient and careful comments on customer needs analysis, logical thinking of the "Business analysis book", language habits and call method in e-mail reply,etc..
"Serve customer, convenient customer!" Do not treat the mail in a single template, we should take it as a sentient life. Through commercial e-mail exchanges, we should let customers fully feel our enthusiasm, initiative, the professional service, also let customers get the biggest benefit through cooperate with us." After long selection process, two groups of players,total of 12 new employees, won the honor. Companies give the first, second and third prize a cash reward. It is reported that the second "Write like an angel" contest will be officially launched after the National Day holiday.